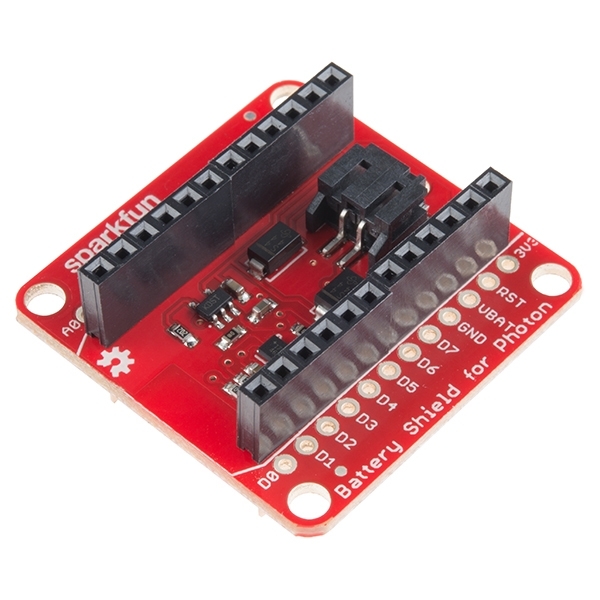 The SparkFun Photon Battery Shield provides you with an easy way to power your Photon module with a Lithium polymer battery. Not only can the Battery Shield power you Photon but you will also be able to charge a LiPo bettery through it as well. The board comes with a JST connector for your single cell LiPo battery and utilizes the Photons on-board micro-USB connector for the charge input.